Groupon, known to 200 million people as a place to get valuable deals, also has a mission to serve the small businesses providing those services and products to consumers. 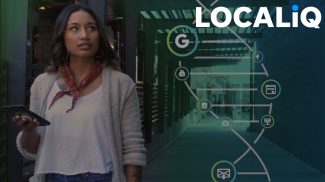 Providing systems for local merchants isn’t new for Groupon. The vision goes back a couple of years. In 2012 Groupon acquired Breadcrumb Pro, a point of sale (POS) system for full service restaurants. Then last year, the company launched a simplified and free version of the system called Breadcrumb POS that works with an iPad. Groupon Gnome is replacing the free Breadcrumb POS. 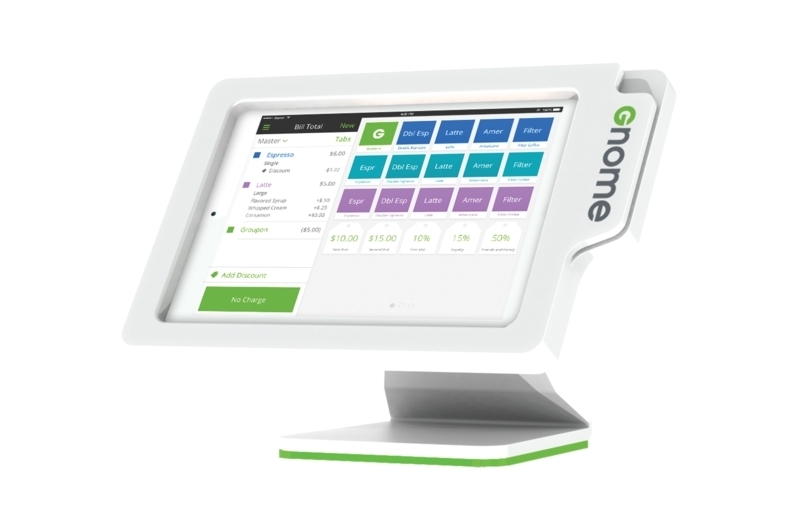 Gnome will do much more than Breadcrumb POS, say company officials, yet will be priced for small businesses at $10 per month. Hardware is included in the monthly fee (unlike with Breadcrumb POS where merchants had to separately purchase it). Groupon started testing Gnome in a handful of markets back in December, and is rolling it out more widely starting this past week. Groupon stopped taking new orders for Breadcrumb POS earlier this year. The company will give merchants the opportunity to roll over into Gnome by this summer before phasing out Breadcrumb POS. “We’re actively working with existing Breadcrumb POS merchants to migrate them over to Gnome. We will support them on Breadcrumb POS until they’ve been migrated,” said company spokesman Nick Halliwell. 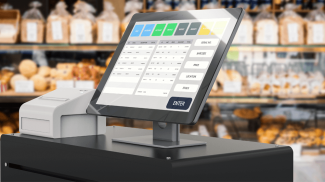 Breadcrumb Pro, a separate product that provides a POS system for full-service restaurants, will remain as an active product. Halliwell says the majority of Groupon merchants are small businesses — many of them very small. The intention is to meet their needs with an easy-to-use system. “About one-fourth of Groupon merchants are sole proprietors and 81% have 20 employees or less,” Halliwell said. Point-of-sale system to manage operations, sales transactions and payments. Gnome integrates with Xero, QuickBooks Online and QuickBooks desktop systems, so you can upload your sales information to your accounting system without a lot of manual effort. Ability to redeem Groupons by customer name or via Bluetooth connection (using an ibeacon) to the customer’s mobile phone. Halliwell is quick to point out that customers have the opportunity to opt out of the Bluetooth-based redemption method. This new feature eliminates the hassle of dealing with printed vouchers or consumers having to hand over a mobile device to be scanned by the merchant. Ability to respond to customer service issues via email, directly from within Gnome — as well as the ability to share customer feedback via Facebook and Twitter. Customizable menus, which are preloaded menus and inventory lists for most popular types of businesses. This lets merchants get up and running much faster, because they start with a template they can customize. For example, a coffee shop can start with a typical coffee shop menu and tailor it to fit. Two other features are coming before the end of the year designed to give merchants a boost with their marketing. First, merchants will have more extensive customer relationship management features such as customer profiles with pictures of the customer on their profiles, and the ability to see who is coming into the business in real time. Second, merchants will be able to create Groupon deals and push them out to Groupon mobile app users in real time. Halliwell says there are 80 million users today of the Groupon mobile app, and over half of all of Groupon’s transactions today are through mobile devices. 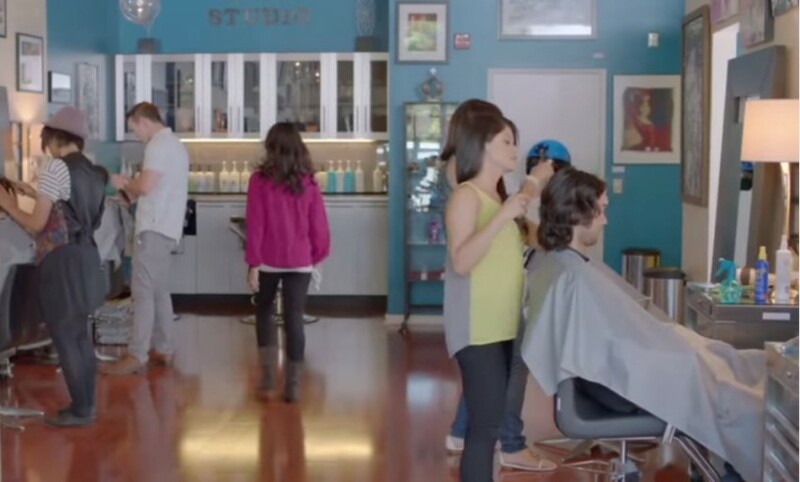 “What this means is that a salon owner who has a few chairs open this afternoon can create a special deal, and push it out over the mobile app. Nearby Groupon users may see the offer and come in. 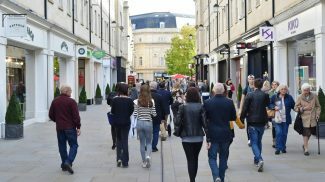 It’s a way to get more business and turn those slow times into real-time opportunities,” adds Halliwell. Groupon Gnome comes with live 24/7 support. There is an optional Groupon payments service available — the company says it offers competitive rates on credit card processing fees. It’s quite neat that they have an app that goes along with it. I think this is what most small business owners need – they need an app that is as mobile as possible so that they can manage transactions and inquiries while they’re on the run. Shame on Groupon. They are trying to steal Gnome trademark. They are infringing on Gnome OS trademark. I hope that they get slapped down for that. That’s what I really like about modern day journalism: You don’t even attempt to be critical, only copypasting the Groupon press releases. A quick search on Google for the word Gnome would give you quite a nice hit on gnome.org and Wikipedia, and an instant later you would realize Groupon is hijacking the brand name of a 17 year old free and open-source Linux desktop environment, and incidentally one of the most important Linux desktops worldwide too. Ooops. You’re missing an opportunity here, the prediction of a legal battle about the name – and Debian, Fedora, RedHat and several others have already issued the call to arms. Metal Warrior, thanks for your note. Simply using the same name isn’t defacto a trademark violation. There are all kinds of similarly named products in the world, for different uses. In the United States, when you file for a trademark you have to file in certain classes of use. Gnome used in one class or context, won’t necessarily violate a trademark in another class. To illustrate my point, go to USPTO.gov and do a search for GNOME. You will see almost 150 entries for “GNOME” or some variation thereof. Is Groupon violating a trademark here? I have no idea what a court will ultimately decide. That is what lawyers and judges and courts are meant for. Readers might be interested to know that this product violates the trademark held by the GNOME project. Groupon were asked to change the name and they refused. That is totally unethical.